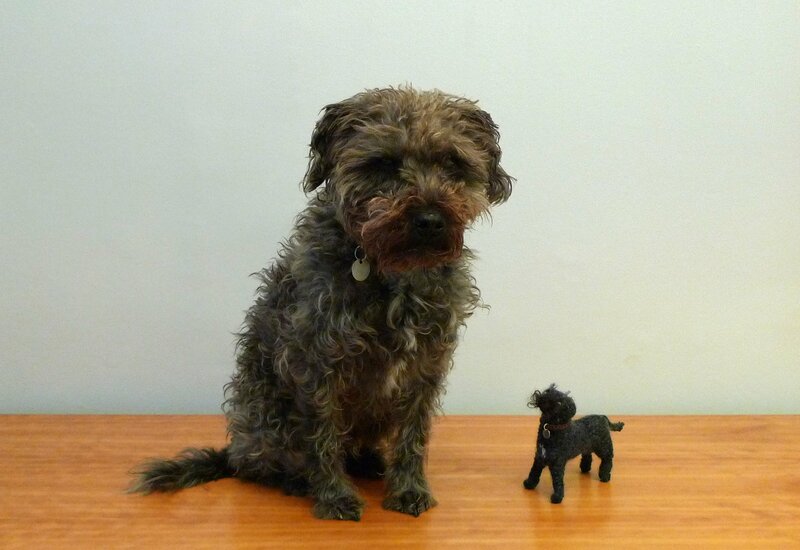 We have a stock of a small selection of made up dogs, cats and zoo animals. They cost £50 to £60 depending on size. Do email us if you would like further information. We are also offering a highly exclusive dog portraiture service. For £200 we will knit your dog or cat. Do email us if you are interested.